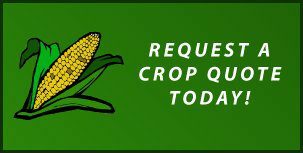 We are your premiere crop insurance agency licensed in Kansas, Nebraska, & Colorado. Your Trusted Crop Insurance Professionals are now on the web to better serve you! We are proud to say that when you contact our agency you will come to know that we are specialists in the field of crop insurance and appreciate the fact that we devote all of our time to crop insurance. Crop insurance is a year round job with several major deadlines to meet throughout the year. This requires the agents full attention in order to best serve his client. With over 125 years of crop insurance experience, the agents in our office are here to service your crop insurance needs! Contact us today! We feel that since we specialize in crop insurance it gives us the upperhand when trying to stay one step ahead of this ever changing industry. We have four Crop Insurance companies to place your policy with and they include: Great American, NAU Country, ARMtech, & FarmersMutualHail. Our agency will customize a Crop Hail Policy to meet your individual needs. We also sell Livestock Risk Protection Insurance which can help provide you with a floor for falling cattle prices. Another product we offer is pasture, rangeland, and forage (PRF) insurance, which utilizes various indexing systems to determine crop conditions. Click HERE for a Livestock Risk Protection(LRP) quote. Quotes are available from 4:30 PM to 9:00 AM Daily. Call us for a quote. Click HERE for most recent RP prices. Click HERE for a Google search. Click HERE to watch NW KS Sports on Open Spaces. **Milo is currently 98.5% of Corn.